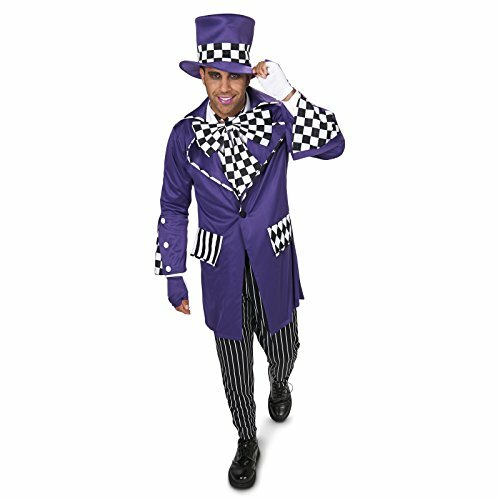 Purple / checkered Mad Hatter costume. Comes with a jacket, pants, hat, bow tie, and 1/2 gloves. Black Mad Hatter costume for women, with checkered details. Checkered bow tie, with an easily adjustable strap which hooks behind the bow, so you don’t have to tie it yourself.